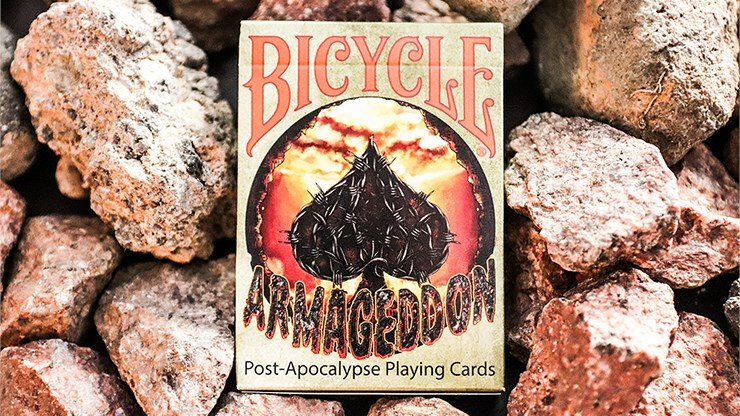 The main appeal of this deck lies in the world that it depicts, and taking that premise for granted, it does a good job of capturing the elements of a harsh post-apocalyptic landscape where everything is about survival. 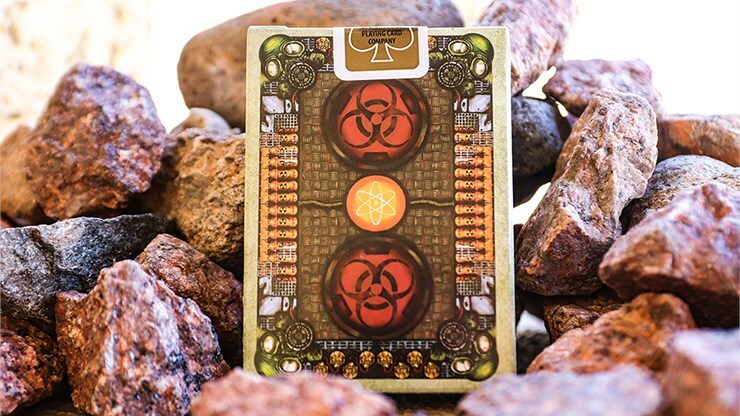 All aspects of this deck contribute to a look which fits with these theme, including the card backs, the characters on the court cards, the pips, and the textured background on the card faces. 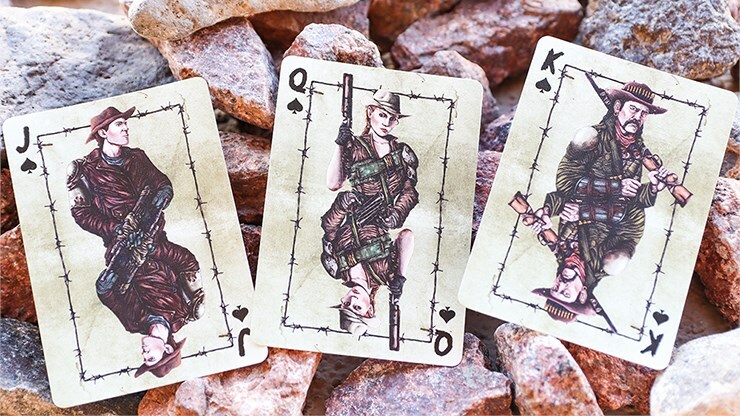 The court cards are the highlight, each suit representing a different faction in this post-apocalyptic world, and each has its own style of clothes and weapons. 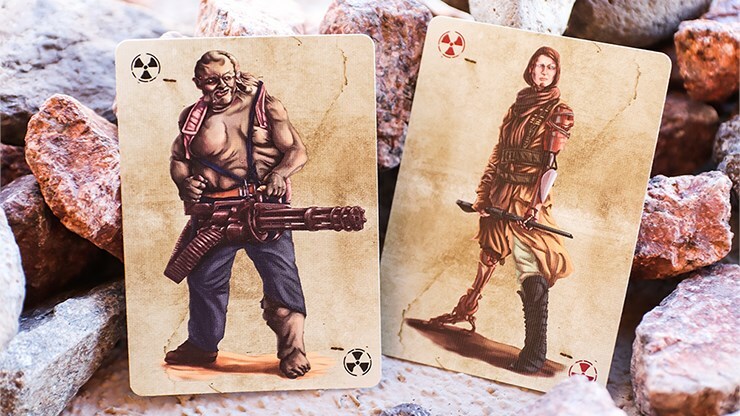 These rough and ready characters are dressed for combat, since the world they inhabit requires a battle for survival, and they will need to fight for their lives if they are going to last. 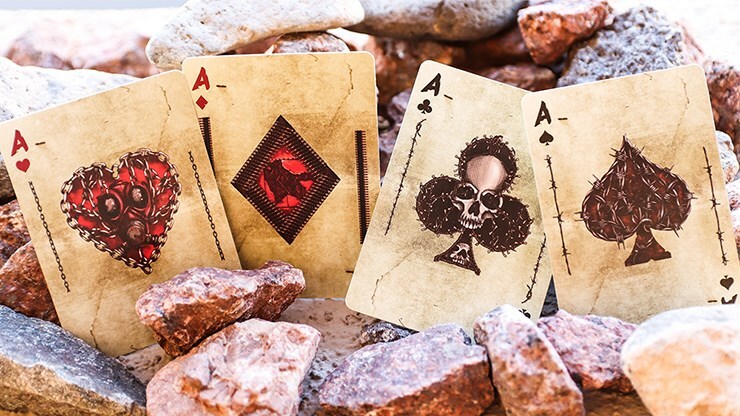 The Aces feature oversized artwork that depicts something of the setting, with metal and wire. 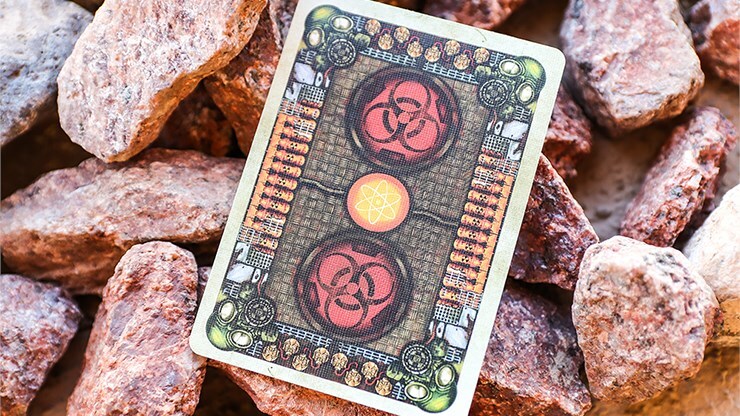 If you like the concept of this deck, then you'll almost certainly be pleased with making this new release part of your own collection.